Good Morning and Happy Good Friday to you all. To continue with our Easter themed week on Boho Life we have this amazing recipe today shared with us by the fantastic Myriam of Bizcocho Pastries. Myriam is a regular to our blog and her recipes always go down a hit. 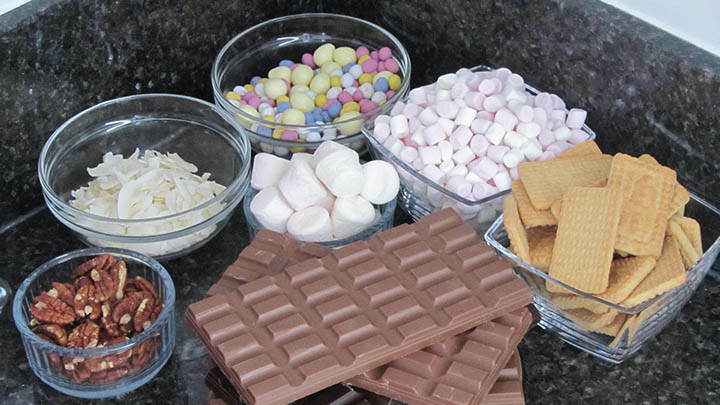 I am sure that todays sweet treat is going to be a favourite with you all! 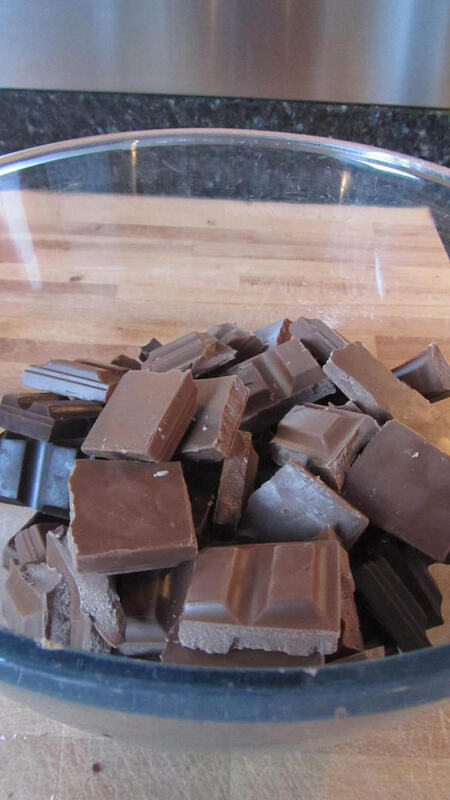 This is one of the easiest desserts/snacks to prepare as it does not need any cooking at all, it is just a matter of putting a few ingredients together and it will be ready in no time! As there are no added perishable ingredients, this dessert keeps really well at room temperature by storing it in an airtight container for a long period of time. As usual, feel free to add any kind of nuts, dried fruits, or candy of your preference – softer candy (like gummy bears or jelly beans) would work well. 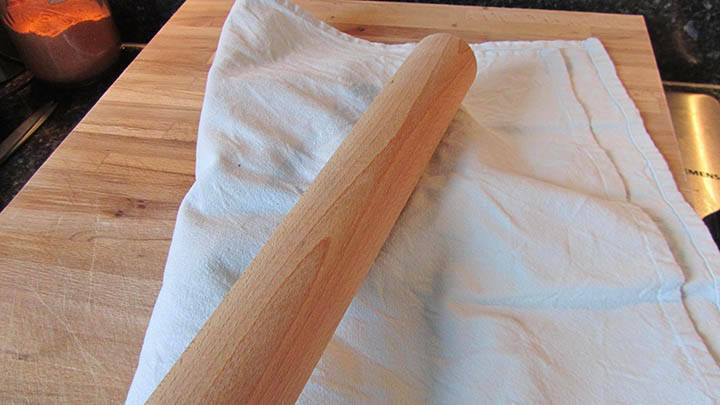 STEP 2) Cover the biscuits and nuts with a tea towel and give them a good bash with a rolling pin to break them into smaller pieces. 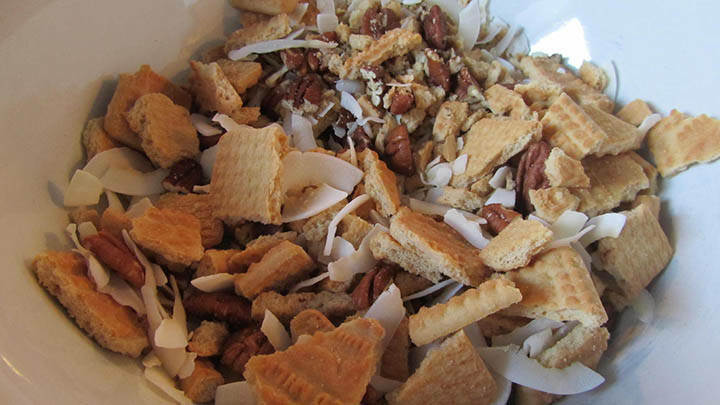 STEP 3) Place them into a large bowl along with the coconut. 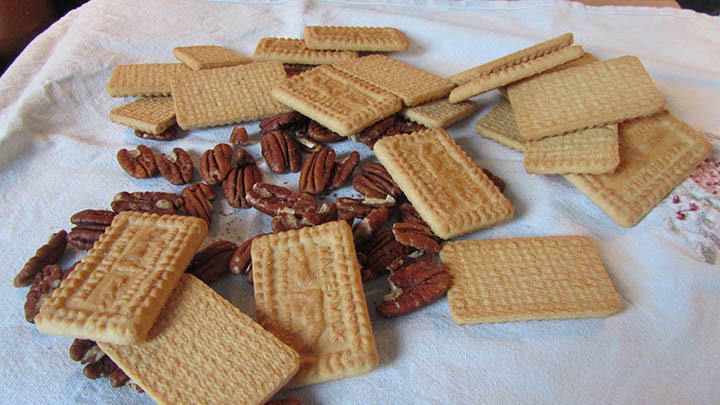 Reserve a few nuts for later for decoration. 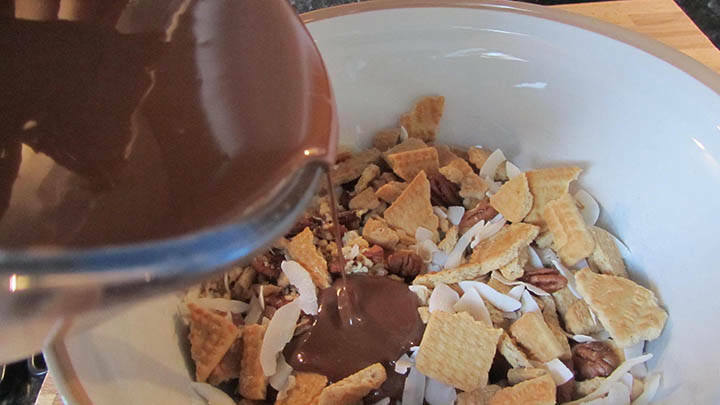 STEP 4) Pour in the melted chocolate and mix well. 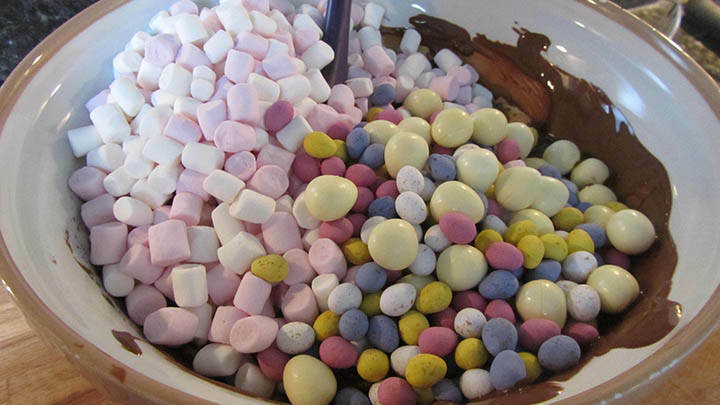 STEP 5) Mix in the marshmallows and mini eggs. 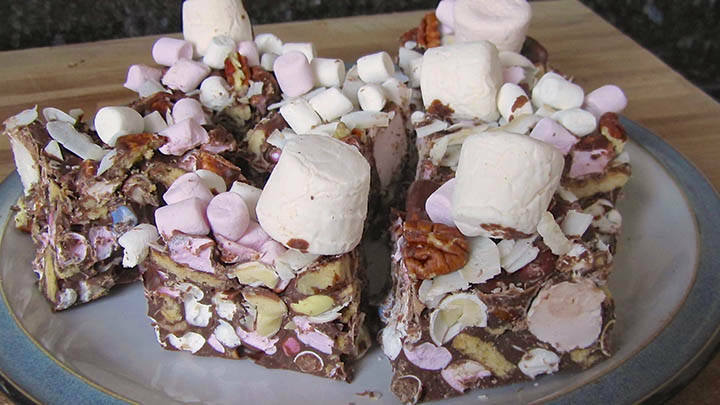 Reserve a few of each to decorate the top of the rocky road later. 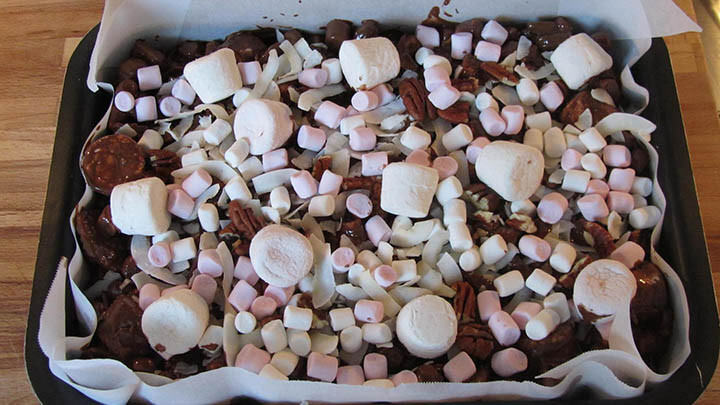 STEP 6) Pour the mix into a large container lined with parchment paper and use the rest of the marshmallows, nuts and mini eggs to decorate the top as you like. STEP 7) Refrigerate for 90 minutes. 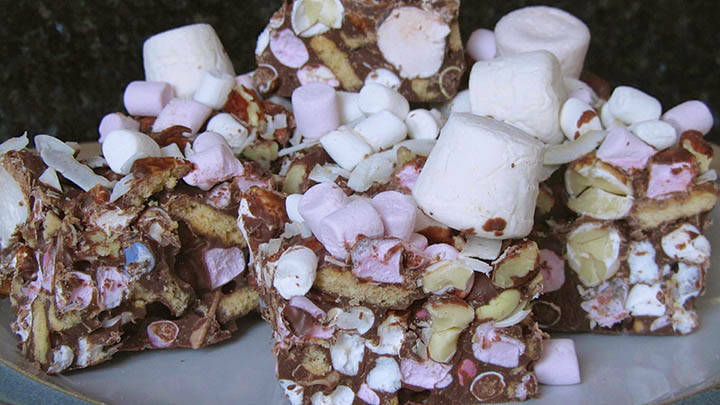 Place the slab of rocky road on a chopping board and cut with a sharp knife into small, bite size pieces.